I bought too much for one decor haul post so I’m continuing on from the last one. Also didn’t want to have you reading for an hour or more, ain’t nobody got time for that! 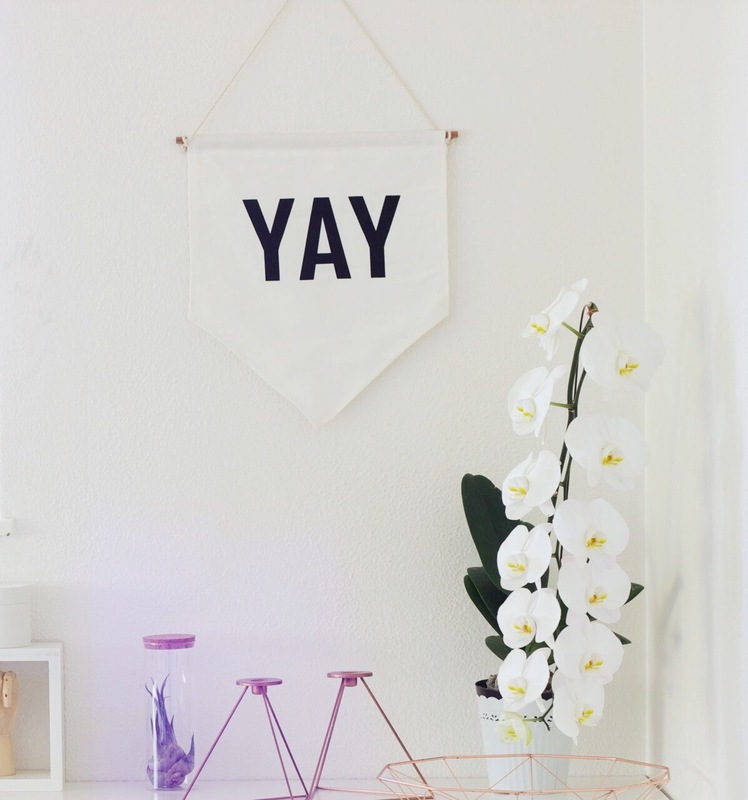 The first and most exciting thing in my decor haul is this amazing Zana Products ‘YAY’ banner. It is the first thing I see when I walk into my room and it makes me so so happy! I had been eyeing this banner for ages before I actually bought, and boy am I happy I did. Plus side, they have tons of beautiful products, and they send the best mailers, downside, you want to buy everything! If you love this as much as I do, you can buy it on their site for R190. Number one, Babylonstoren is my favourite place, I want to get married in their Greenhouse! And then somehow it gets better, their store has a beautiful selection of science beakers, scented candles, South African cookbooks, including theirs and an interesting range of different cordials//jams/preserves. I bought this beaker there for I think R80 which is cheaper than most places I’ve seen in Cape Town. Walking into Country Road Home is like walking into my dream Pinterest home. But because it’s so damn expensive all I could buy was this one glass. I bought it mainly for styling blog stuff. And on sale I think it was R25, which means it was R50 for one glass! I’m not at the stage where that’s an okay price to spend on one glass, so for now, one is enough. I popped into a Checkers with my mom & sister over Christmas time and we all walked out with some really cool stocking fillers. This sweet little white porcelain pineapple was one of my stocking fillers. I’ve seen a few pineapple ornaments in the shops but didn’t really like any of them p, they just seemed too colourful, but this is perfect, more understated. Think my sister bought this for R60/R70, BARGAIN!! Lastly I bought this candle on sale, at @Home, it doesn’t have any particular fragrance, I just really liked the blue & white. I mentioned in my last decor post that I’ve been working on our spare room and thought this would be perfect for the bookshelf. I think I picked it up for R30-R40. 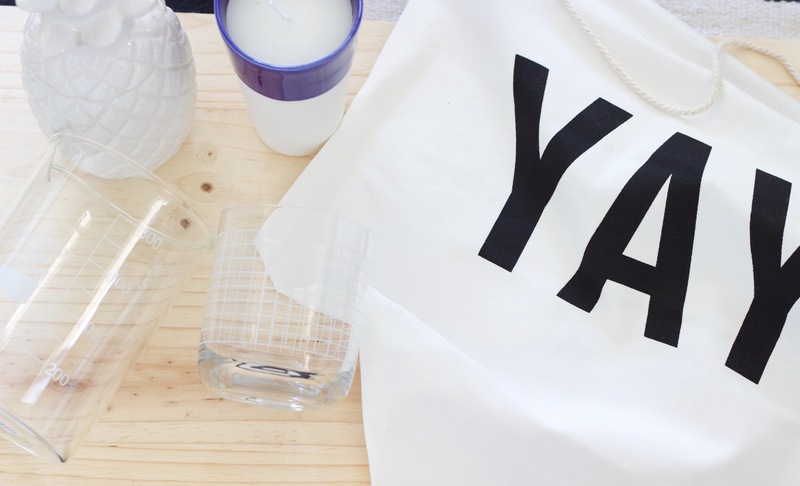 Have you found any Decor Haul bargains recently?